Thanks to Chipotle's recent buy-one-get-one free entree promotion and upcoming $3 burrito deal on Halloween, now could very well be a great opportunity to try something different -- the new chorizo, for example -- on the burrito chain's menu. 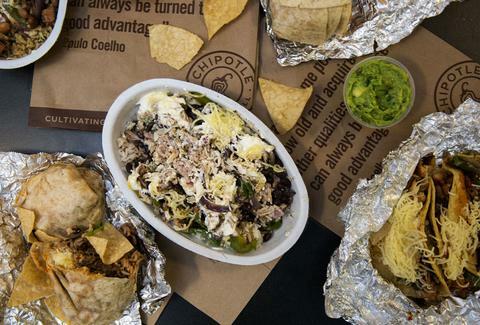 But it turns out there's one Chipotle entree you should avoid ordering the next time you're there, according to a former employee. At least, that is if you want to get the most food for your money (or BOGO coupon). Comment from discussion Fast food workers-What should we never order from you?. If you've ever ordered the tacos at Chipotle (why?!) and watched them scoop the ingredients into the tortillas, this probably makes a lot of sense, although it's certainly possible that the amount of food you get when ordering the tacos will vary thanks to the seemingly unscientific measuring methods used on the chain's high-speed burrito assembly line. Either way, the former employee's suggested alternative to order tacos sounds absolutely brilliant and is likely the way to go. Of course, this is just one person's opinion and shouldn't stop you from ordering tacos at Chipotle if you really want tacos instead of a burrito or burrito bowl that could potentially be a better value. But then again, when the people at the front lines of fast food sneeze guards say you shouldn't order certain things, you should probably listen. Tony Merevick is Cities News Editor at Thrillist and actually loves getting tacos at Chipotle. Send news tips to news@thrillist.com and follow him on Twitter @tonymerevick.